Does your company have its own specialist terminology that it uses in written communications, such as technical terms, acronyms and abbreviations? From legal and medical to technical, finance and manufacturing, each and every business sector or industry imaginable makes use of its own specialist terminology. What’s more, individual companies within these sectors will also have their own unique internal jargon or will specifically refer to technical products or materials in terms that differ from their competitors. Handling specialist terminology and company/sector specific terms can presents issue when documents, websites and other written materials need translating into other languages. How can you ensure that your specialist terms are translated accurately and consistently across all translated communications? What are the repercussions of any inaccuracies when translating technical or specific terms into other languages? Reputation? Profitability? Legal issues? This can be a problematic area but fortunately we’re here to help! Here are our top tips for handling specialist terminology within the translation process. Here at Comtec we only use translators with expert understanding of specific industries or sectors. Combined with our stipulation that they only work in their native language and have an in-depth cultural knowledge of the target country, we find this to be the only way to ensure a high-quality specialist translation. If you’re going to employ a freelance translator for your translation project, we would advise you to do the same. Translation memory software is the key to consistent and accurate translations across different platforms, multiple documents and large translation projects. In brief it provides a linguistic database of all the terminology and phrasing used in your texts alongside your preferred translations. This database grows as more translations are added to it, resulting in a comprehensive and unique resource for your company. For information on the benefits of this technology read our page on the importance of Translation Memory Software. There is no denying that translating content that uses specialist terminology is a job for the experts. 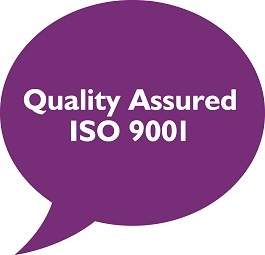 With both ISO 9001:2015 and EN15038 quality certifications, Comtec has developed a reputation for exceptional quality built on rigorously assessed working practices. Long-term expert help can save your business money too, with more accurate and faster translations than you could ever hope to achieve alone. We hope the above steps will help you get a clearer idea of the processes involved in translating specialist terminology. If you’d like to discuss your translation project with us and explore further how we can assist companies like yours, please get in touch.